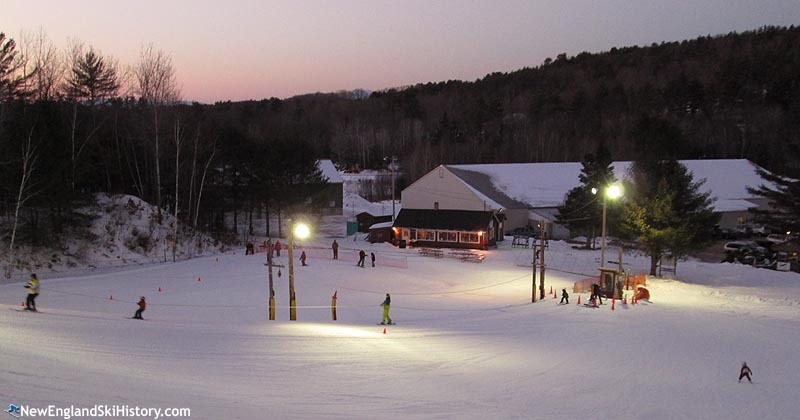 Located in Wolfeboro, Abenaki is a small municipal ski area. With hike-up ski roots in the 1930s, Abenaki's lift served history likely started in 1940, making it one of the oldest ski areas in the country. With the exception of a few idle periods, such as during World War II, Abenaki has been in operation for the better part of a century. At times, skiing was offered for free. Night skiing was added after World War II, likely for the 1946-47 season. A ski jump was installed circa 1970 and in use for the next two decades. While the ski area was popular in winters of abundant snowfall, interest and funding were lacking in others. 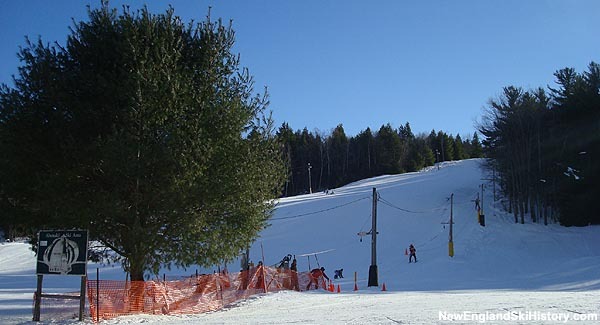 To help modernize the ski area, the Friends of Abenaki was started in 2005. Subsequently, their efforts have resulted in the purchase of a modern snowcat and the installation of a snowmaking system. A makeshift snowmaking system was cobbled together in 2007, followed by a permanent HKD installation in 2011. A new base lodge was constructed for the 2015-16 season, giving skiers more seating room and modern bathrooms.